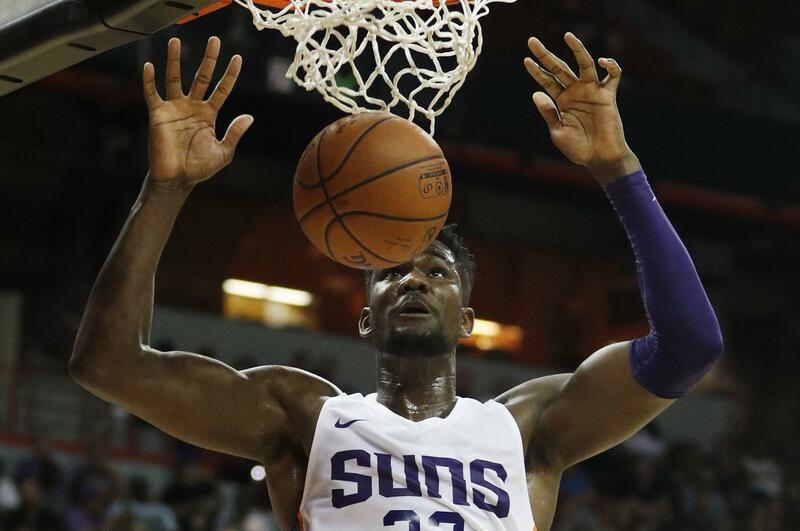 Mon., July 9, 2018, 10:32 p.m.
LAS VEGAS – Deandre Ayton is having no problem with the competition or the schedule at the NBA level. Suns 71, Magic 53: Braian Angola (NIC) played 22 minutes and scored nine points to go with two assists for the Magic. Cavaliers 93, Pacers 88: Brayon Blake (NIC, Idaho) played eight minutes for Cleveland. He did not score but had two rebounds and two assists. Mavericks 91, Warriors 71: Jacob Wiley (Newport High, EWU) played 19 minutes for Dallas. He scored 12 points and grabbed four rebounds. Timberwolves 78, Nets 69: James Webb III (NIC) started and played 16 minutes for Brooklyn. He scored four points and grabbed five rebounds. Published: July 9, 2018, 10:32 p.m.